DIY beauty mask based on argan oil and other natural ingredients able to counteract the signs of aging, keeping the skin elastic and hydrated. Let’s find out how to make the recipe for the anti-aging face mask! Preventing premature skin aging and counteracting the effects of time is the basis of many facial treatments that we use every day to look younger and more beautiful. It is important to treat the skin of the face regularly, also because it is the area of ​​the body most subjected to cold, humidity, wind, sun, smog, etc. The face is in many ways our business card and a lack of nourishment and hydration inevitably leads to a worn, pale and wrinkled appearance. In addition to daily treatments based on creams, delicate detergents and tonic waters, it is essential to apply anti-aging face masks able to release, during the laying time, all the nourishes and active ingredients to make us find a bright and healthy appearance. Making an anti-aging face mask once a week will guarantee the right level of hydration to the skin, an improvement in tone and elasticity and a reduction in wrinkles. Today we offer a beauty treatment based on argan oil, kiwi, whole yoghurt, honey and neroli essence (orange blossom). A mix of nutrients useful for effective anti-aging action. But let’s see in detail what are the properties of the ingredients of this DIY recipe. Essential oil of orange blossom: The essence of orange blossom acts on the skin as a regenerating. Enhances the complexion and illuminates the face. Finally, put the drops of orange blossom essential oil, give one last blended and your DIY recipe is ready to use. The anti-aging mask for the face is made of highly perishable natural ingredients such as kiwi and yogurt. Honey, argan oil and orange blossom essence invence a higher degree of preservation, thanks to the absence of water or the presence of sugary substances. Therefore, we advise you to prepare the mask for the anti-aging face and apply it within a few hours and, in case you do not use it immediately, put the container tightly closed in the refrigerator. The best solution is to prepare this recipe and apply it immediately on the face, so as to fully benefit from all the extraordinary anti-aging and nourishing properties of the ingredients. 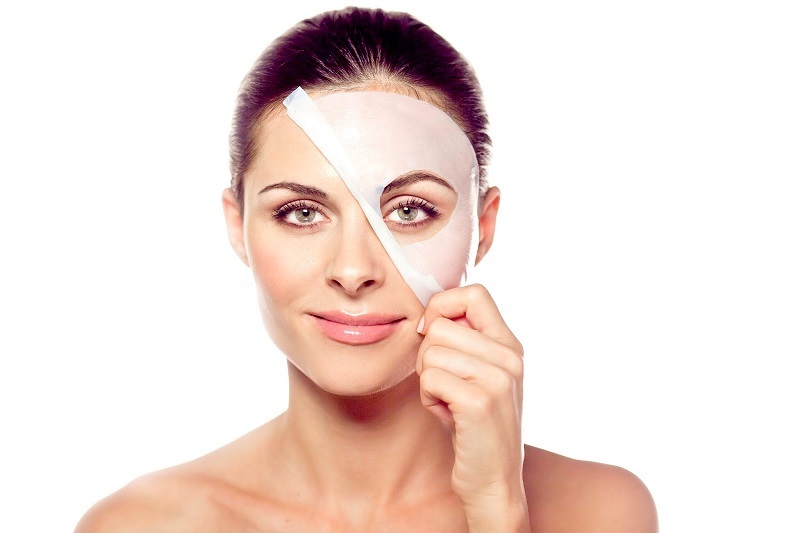 This facial beauty treatment can be done once a week for a period of about two months and then repeated after an interval of three or four months. In this way, you will do a couple of cycles per year useful for regenerating and stimulating the skin, perhaps alternating different types of anti-aging treatments. Once the anti-aging mask has been prepared for the face, apply it with the help of a brush over the entire skin, paying close attention to the very delicate area around the eyes. Leave it in place for about 20 minutes and then remove the product residues with the help of a damp sponge. Soon after, we recommend applying a layer of anti-aging moisturizer. This treatment should be done in the evening, in this way the skin will have time during the night to regenerate. In addition, neroli oil (orange blossom) can increase the photo sensitivity of the skin and it is good not to expose yourself to the sun or the lamps after its use on the skin. Next post: How much water should I drink to be healthy?